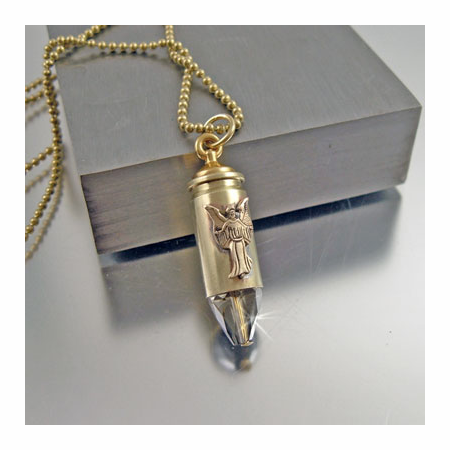 Nowhere else will you find a unique Guardian Angel bullet pendant such as this. 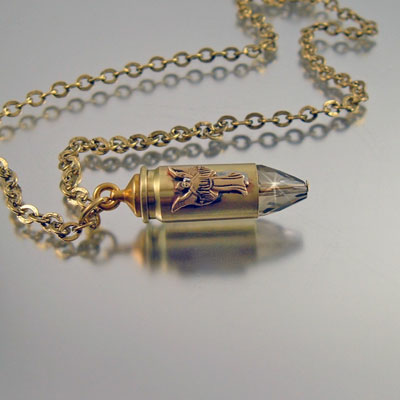 The bullet necklace is a 9mm recycled brass casing with a beautiful and simple guardian angel. 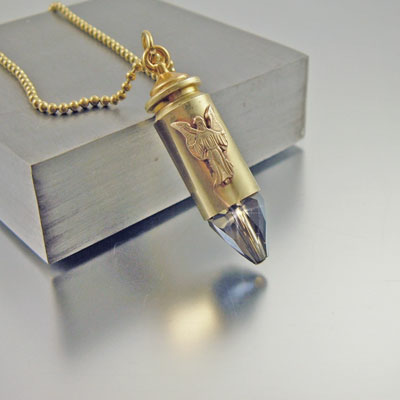 The tip contains a European dark smoky amethyst crystal. 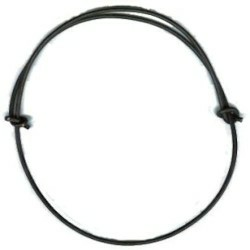 The smoky color is a neutral which is suitable for a man or woman. 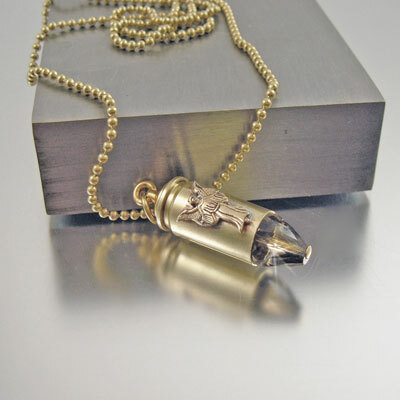 This is the perfect gift for someone in the military, armed forces, hunters, shooters, police force, parent, or absolutely anyone who can use a guardian angel; which is all of us and in any situation.